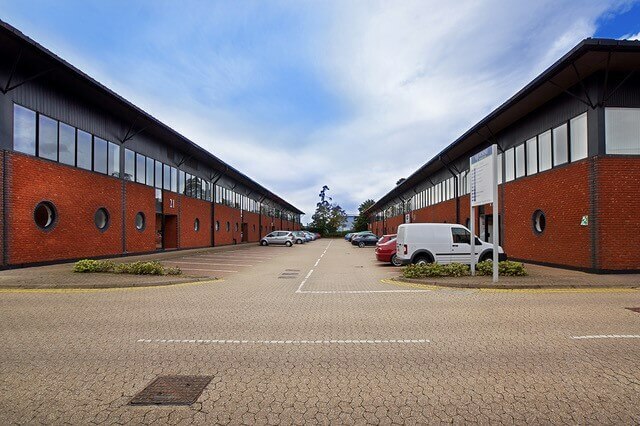 Success for Schroders at Woking Business Park | Curchod & Co.
Schroders, the global investment manager, represented by Curchod & Co and JLL, has let 3,862 sq ft of warehouse space at Unit 14 Woking Business Park, in Albert Drive, Woking to Acoustic Data. The property has been taken on a new lease by the oil industry services technology company at an undisclosed annual rent. Richard Newsam of Curchod & Co said: “This transaction underlines the importance of Woking Business Park to the local economy. The access to the national motorways and the mainline railway network, combined with the 24-hour security presence and the world class businesses on site make it the town’s premier industrial location. “Elsewhere on the business park a further 5,155 sq ft at unit 8 is currently under offer and there is very strong interest in Unit 7 which, along with Unit 8, have recently undergone refurbishment,” he added. Acoustic Data was not represented in the transaction.